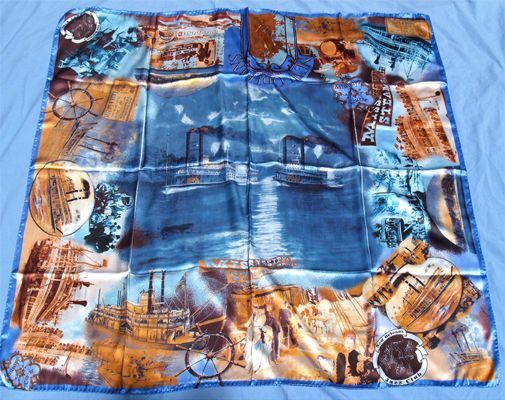 This beautiful silk scarf is 4' x 4' and based on a graphic from the Dave Thomson museum wing at this site (click here to see image). This scarf is availble from Plus Quam Cadena of Italy. It comes in blue (seen here) and red.